The CAD initiative has presented the last version of the #EUGoesDriverless Newsletter at the ITS World Congress 2018 in Copenhagen. 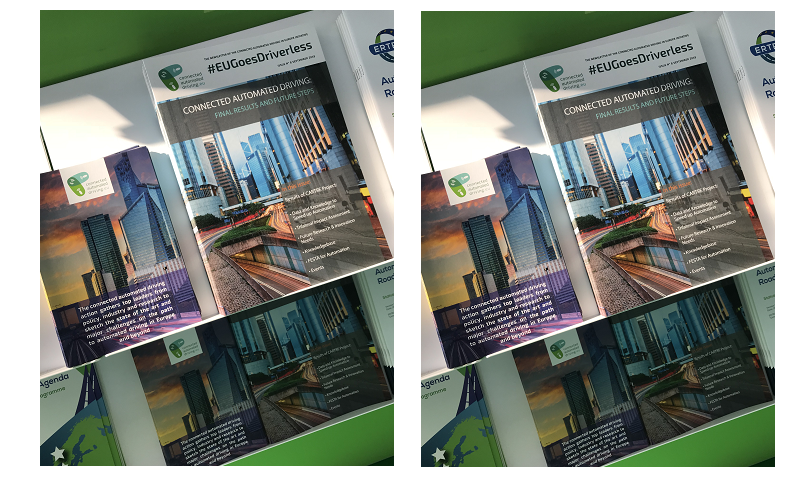 During the four days Congress, copies of the 8th edition of the newsletter were distributed among Congress attendees who visited the CAD booth and the ERTICO booth at Event. In this issue, readers will be able to find some of the results and achievements of CARTRE and the events coming soon. 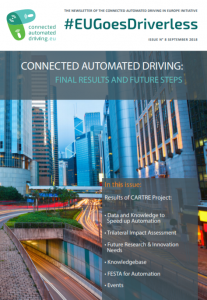 This edition also highlights some information on the future of Connected Automated Driving in Europe.